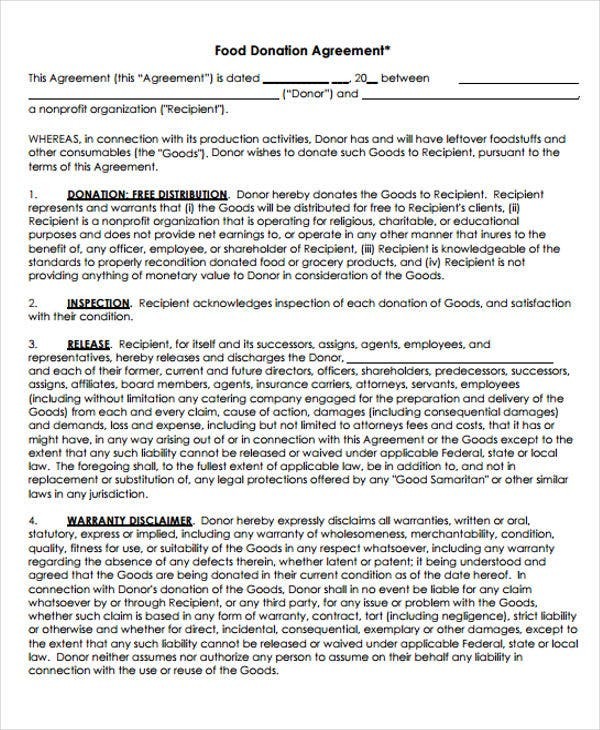 As a part of normal life, you may find yourself having to sign a great many documents, some of which might be donation agreements. 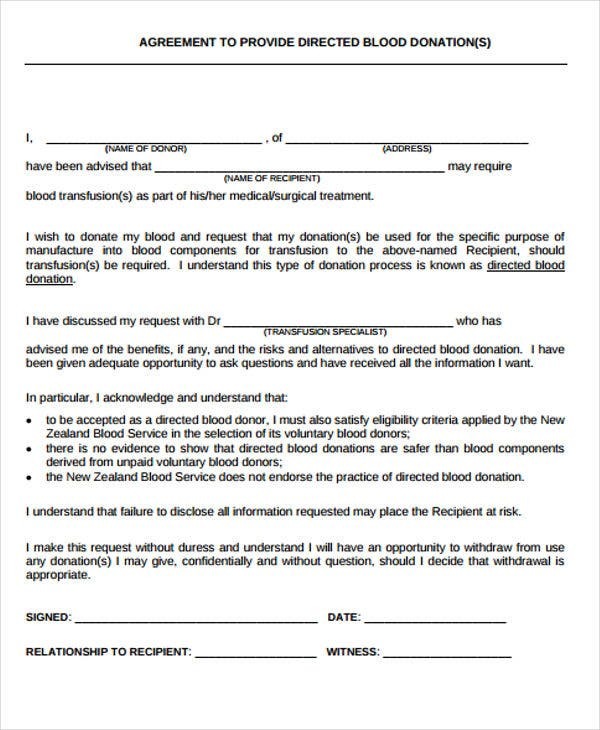 Of course, when donating something to another body, you might have to sign all kinds of supplementary agreement samples, such as a confidentiality agreement. Indeed, you may have to sign such things as a nondisclosure agreement if you happen to have some kind of arrangement with the recipient. In this case, it would not be enough to simply give the recipient whatever it is you wanted to give them, as other measures would have to be taken. 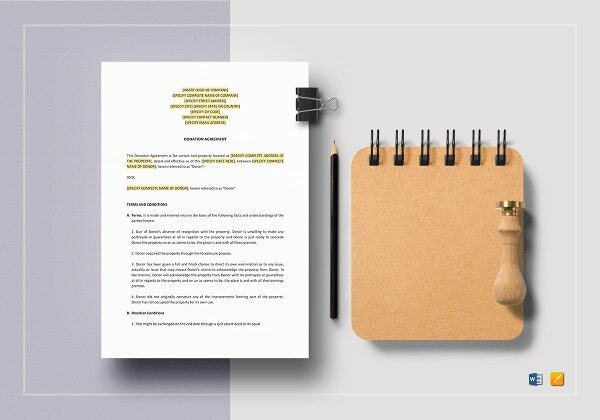 Basic terms and conditions, like in basic agreement templates. 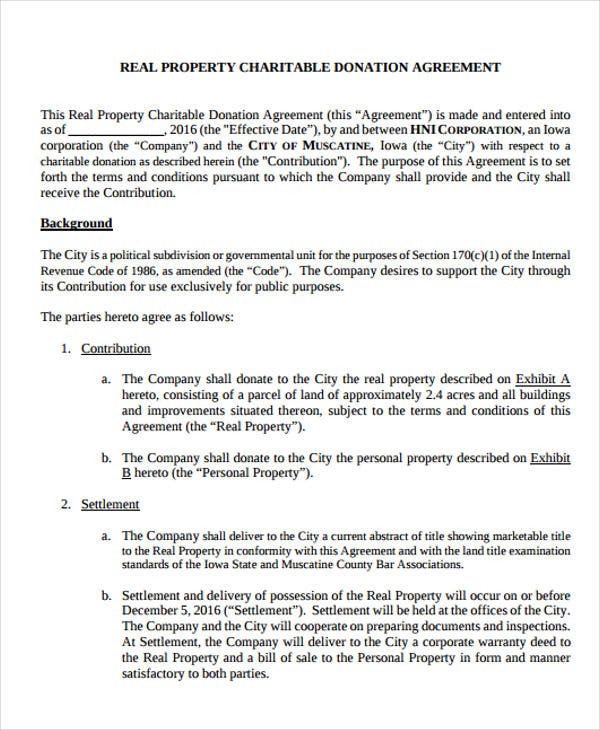 In this case, these are the terms dictating the manner of donation, such as amount, what is being donated, method, etc. 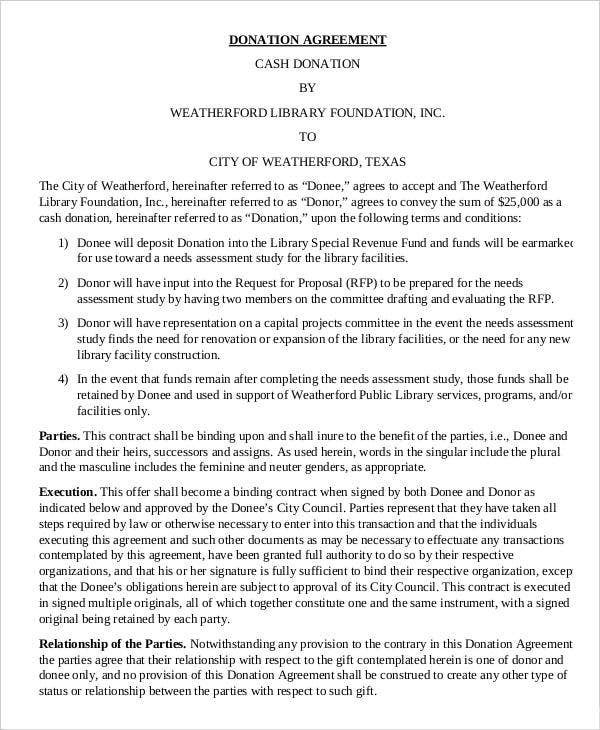 Parties, as there would be a donor and recipient involved in any donation, and it would be important to include their names on funding agreement templates. 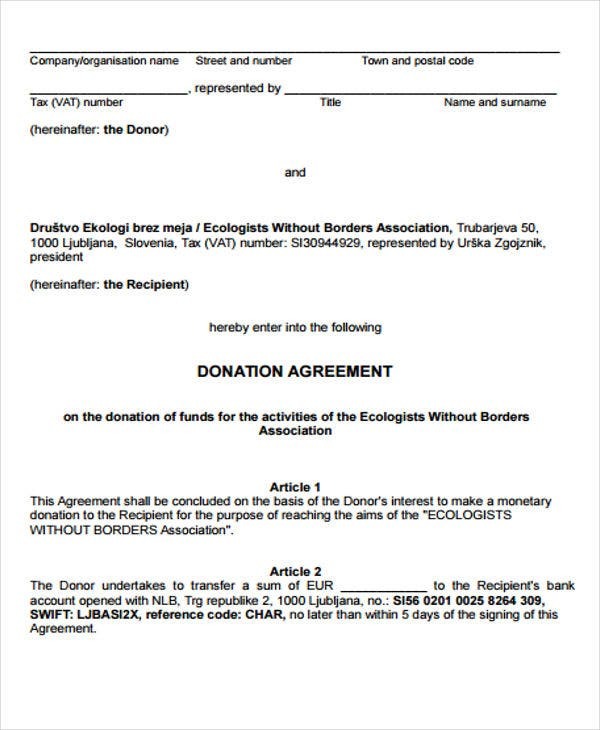 Deadline, as that should be specified so as to ensure that a donation is actually given. 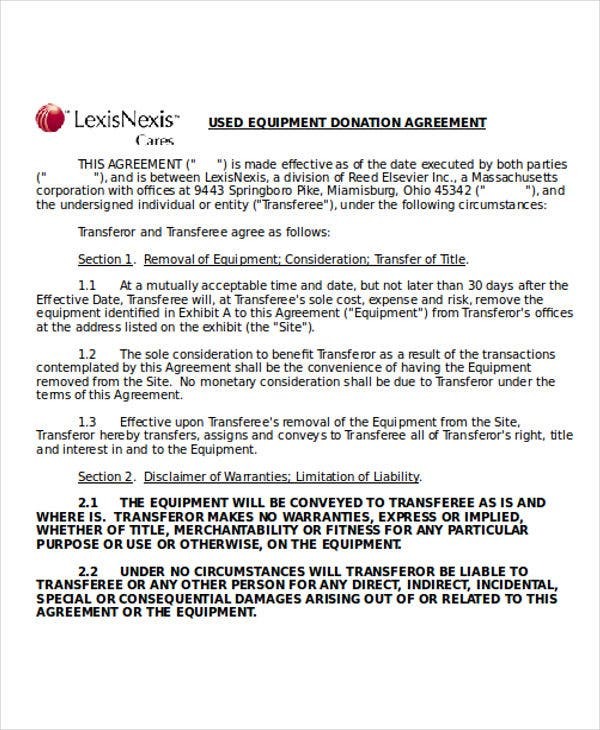 Why Would You Want a Donation Agreement Template? They are easy to customize, so that you can use them for all kinds of different donations, such as cash, land, or other items. They can make for easy mass-production, which would be perfect for making sure that as many donors as possible can be found. There are some guidelines that can make your use of tools like a payment agreement more effective. 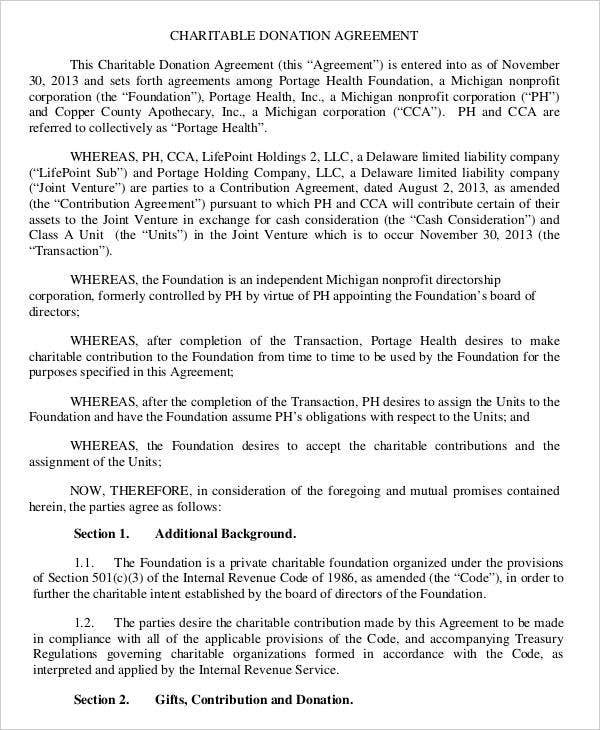 And the same can be said of donation agreements, as they are quite alike in that they involve transfers of money or some other resource. Some of those tips can be applied to other templates, such as service agreement templates, so that you can find more utility for this kind of advice. Understand what kind of donation you are working with. Being that different kinds of goods being donated have different properties, this makes sure that you can transfer each kind with ease. Do not forget to include both sides’ responsibilities. 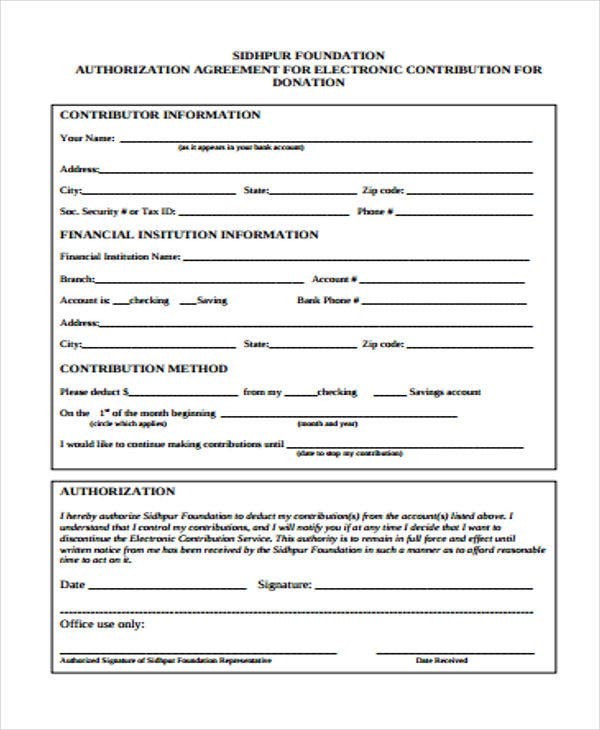 While it is the donor’s responsibility to send the donation over, the recipient still has the responsibility of inspecting the donation and checking that it is satisfactory. Also remember to state that the agreement adheres to all the necessary regulations. 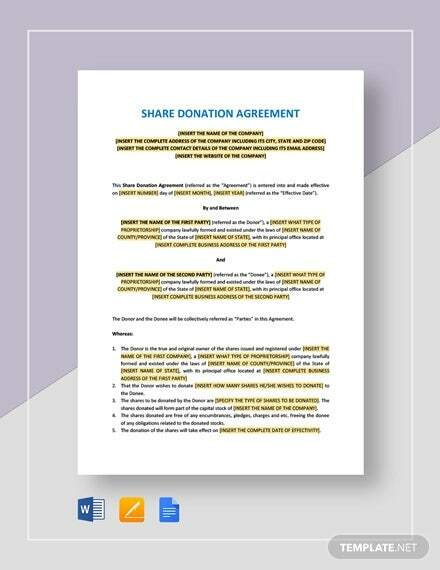 There are generally all kinds of rules that dictate how these exchanges should be performed, which you would have to conform to in order to make your donation proper. 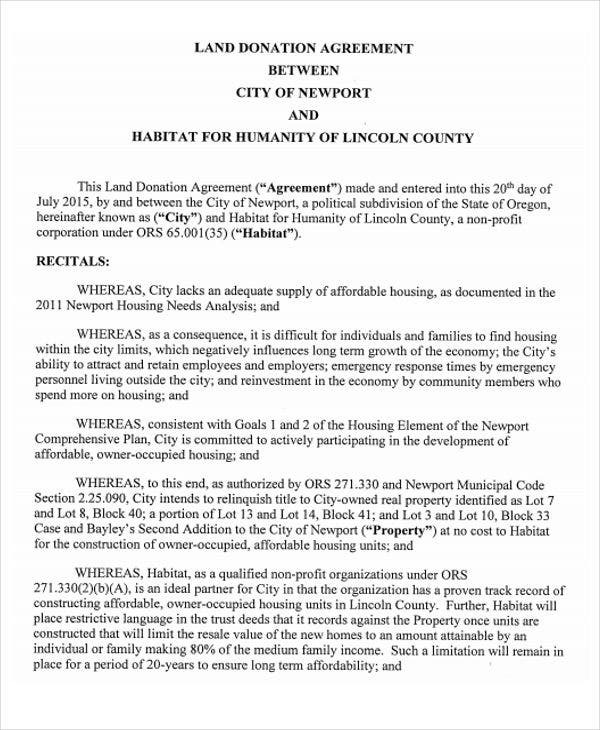 There is no doubting the usefulness of these agreement templates. But if you should need a different kind of template then you should know that those are also readily available here on this site.